Drawing of polygons, paths or points in Google Earth and together with TopoLT can draw graphic entities from AutoCAD or IntelliCAD in Google Earth. 3D transformation (calculation with 7, 8, 9, 10, 12 or 15 parameters). For each set of calculated parameters calculation reports are generated offering the user information about the quality of the calculated values. The parameters calculation is made easy and practical with the help of worksheets organization. transformations with user defined formula. The multiple step transformations (which contain many successive transformations) can be saved and used later, with the possibility of applying them directly on a file using the contextual menu from Windows Explorer. Plane coordinates (N, E) → Geographical coordinates (φ, λ) according to the selected projection. The possibility to draw polygons, paths or points in Google Earth. 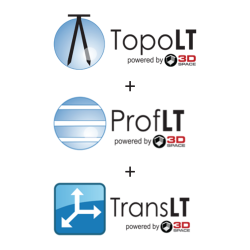 Program was adapted for TopoLT to draw entities from AutoCAD or IntelliCAD in Google Earth. Lines with information (lines that do not represent coordinates) from coordinates files are ignored in the calculation of tables. Fixed an error regarding the incorrect saving of coordinates from table with output data from section “Transformation in steps” in the case of geographic coordinates. It was introduced the possibility to upload or download, through internet, transformation models from the database kept on www.topolt.com. 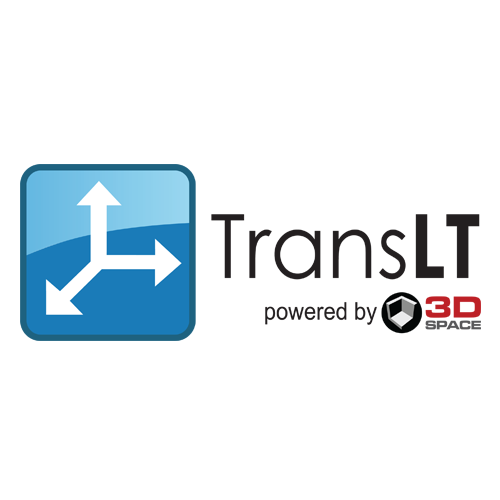 Uploading or downloading the models can be also done directly from TransLT Models page. Files with extension .mtr containing transformation models can de opened directly from Windows Explorer. It was changed the format of files .mtr, files with the precedent format are still accepted. The constant coefficients used at oblique stereographic projection are now used when introducing projection parameters. In precedent versions those were introduced at general options and when using this projection several times with different sets of constant coefficients it was not possible to do the differentiation. Drawings for Google Earth can also be saved in a format compressed with the extension kmz. For graphical entities that are drawn in Google Earth there is possible to introduce additional information (including a link to a web page) that will be posted in the description balloon of the entity from Google Earth. It was introduced the possibility to choose the order of geographic coordinates (φ, λ) from tables and files. Transformation accuracy has been added to the model transformation properties and in the database on the Internet. At reading information from the EPSG database were added the following information: CRS Scope, Remarks and Information Source. It was added the possibility to copy the displayed informations about one CRS or about an operation with coordinates. In the Google Earth drawing window was added the opportunity to reverse the coordinates from table. Remove error at reading negative angles of the form -0°00’1.0“. Remove error at reading geographic coordinates with sign N,E,S,W from .txt files. Grid file EGG97_QGRJ.GRD was changed with the file from TransDatRo version 4.01. Fixed one error that occurred while loading data from TopoLT when the separator character for CSV files was different from that used in TopoLT. Added three more map projections: Krovak Oblique Conformal Conic Modified – EPSG method code 1042; Krovak Oblique Conformal Conic Modified (North Orientated) – EPSG method code 1043; Mercator (2SP) (Variant C) – EPSG method code 1044. Added two more types of GRID files: Grid file of geoidal model type OSGM02; Grid file type OSTN02/OSGM02 – EPSG method codes 9633 and 9663. Changes have been made to the name of some projections. The program was adapted according to the last changes made in EPSG V7.6 database (November 2010). For transformation models from Transformation in steps section, the type of initial and final coordinates was changed. The type of initial and final coordinates can be: Cartesian, Geographic 2D, Geographic 3D, Projection plane 2D or Projection plane 3D. With regards to the former version now you can choose if the initial and final coordinates systems are 2D or 3D (with or without altitude), in the case of the geographical coordinates or projection plane coordinates. Generation of transformation models using EPSG database was revised by considering also 2D coordinates reference systems. In tables contextual menu coordinates loading from file command and coordinates saving in file command were added. The contextual menu of the transformation models list was improved, the model or step characteristics adding and editing commands are, from now on, explicitly shown. In the transformation models list from Transformation in steps section, elements from the list can be moved using mouse drag and drop procedure. The presentation of information about transformation models from Internet loading and downloading windows was changed. All of the contextual menus were translated and icons were added to their commands. In the Parameters calculation section accessing the page and selecting the transformation type can be done with double-click in pages list or in transformation types group. At drawing in Google Earth was introduced the possibility to preview the entity’s balloon description. The information about Coordinates System (CS) was added when viewing the information about CRS taken from EPSG database. When converting files, if the output file is identical to the input file (allocated extension is identical) then output file name is changed by adding to its name (1), (2) or (…) until it is not found a file with this name. To ensure a better precision for the Transverse Mercator map projection, calculation formulas were changed with JHS formulas that can be used for a wider range up to ±40º of longitude from the central meridian. USGS formulas previously used were ensuring a centimeter precision for a range of up to ±4º of longitude from the central meridian. Map projections affected by this change: Transverse Mercator, Transverse Mercator (South Orientated), Transverse Mercator Zoned Grid System and Universal Transverse Mercator (UTM). Starting from this version the program uses Unicode characters. Also, it is available 64-bit version which has still a lower calculation precision then 32-bit version because 64-bit Windows reserves 64 bites for real numbers (15 – 16 significant numbers) and 32-bit Windows reserves 80 bites for real numbers (19 – 20 significant numbers). Section Steps transformations becomes General transformations and transformation steps of a transformation model are called now coordinate operations. The encoding type: Unicode big endian, Unicode, UTF-8 or ANSI can be chosen for all text files when saving. The contextual menu for all coordinate table has following commands: save in file, add file, load from file, export to Microsoft Excel or Microsoft Word, search text in table, renumber points, autofit and resize. The data introduced in tables are retained as unformatted text. When entering the cell for editing the text is displayed unformatted and at exiting from cell is displayed formatted according to the decimal number set in options. By retaining these unformatted texts in tables coordinate transformations can be made without altering calculation precision for reverse transformations. Button for reverse transformation was added for all sections with coordinate transformations. This button is active only for transformations where this action is possible. Coordinate tables can be edited from both systems in all sections for coordinate calculation: 1D Transformation, 2D Transformation, 3D Transformation and Universal Transformations. It was added projection “Tunisia Mining Grid” with EPSG method code 9816. There were added grids used in France with EPSG methods code: 9644 and 9655. For Ntv2 grid file format (files with extension gab) was also added the type of file that corrects h heights (case AUSGeoid09), EPSG method code 1048. There were added grid files with EGM2008 format, EPSG method code 1025. Button to calculate parameters for reverse transformation was introduced for all boxes with 1D, 2D or 3D transformation parameters. It is active only for transformations that supports this calculation. Still, there are cases where reverse transformation calculation can be applied but the calculation of the parameters for reverse transformation is not possible. Buttons inside 2D Buttons inside 2D and 3D preview windows disappear when are not used and appear again when positioning mouse over them. 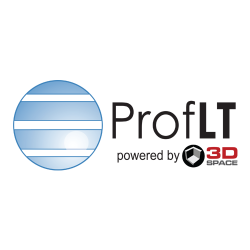 For 3D preview there were introduced automatic localization and focusing of points displayed. A new functionality regarding quick drawing of a polygon in Google Earth using coordinates from projection system was introduced. This command is useful for individuals that are not specialists in geodesy such as real estate agents, banking officials, land owners and so on and can be used to draw parcels that have coordinates in projection system (cadastre coordinates). In this version you can do modifications for transformation models from all opened windows of the program but saving is made for the last opened window. To avoid the lost of some transformation models program issues a warning message when closing the main program window. The program was translated in French language. It was introduced the option to use transformation model in direct or inverse sense when converting coordinate files. Option is available only for reversible transformation models. Also at this command there are accepted files with multiple transformation models, mtrs extension files. It was introduced the possibility to convert also entities files and then to draw the entities in Google Earth. To view all program commands available at external accessing type the following command “TransLT.exe” “/h” in “Command Prompt” window. Starting from this version two DLL 32-bit and 64-bit libraries were created through which you can do coordinate transformations and entities drawings in Google Earth by implementing them in your programs. 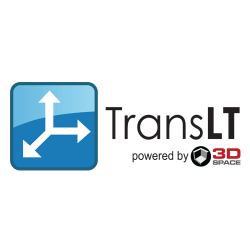 More information about using “TransLT.Win32.dll” and “TransLT.Win64.dll” libraries can be found at Using DLL libraries. It was introduced the possibility to select the favorite EPSG coordinate operations. To encode text files you can choose the default value of encoding type. To preview reports about parameters calculation the following formats can be chosen: Plain Text, Rich Text or Web Page. It was introduced the possibility to select page dimension, layout and margins, settings used both at reports saving in rtf or html format and at tables export in Microsoft Excel or Microsoft Word. It was introduced the possibility to review hidden messages. At 3D preview it is choosable the drawing of continents, borders or hydrography. For Google Earth drawings you can choose measurement units for surfaces and distances, setting used by program to determine surfaces and lengths. There were introduced options to export coordinates from tables to Microsoft Office (Excel or Word). Now it is possible to choose the abbreviation for geocentric, geographic or plane coordinate axes. There were introduced buttons to do the loading of default values, saving to file and loading from file. It was introduced the possibility to fix or not the coordinates to the number of decimal when saving them in file. There were introduced buttons to jump from a button to another in the order of calculations. 3D transformation points from the table containing common points from A and B system can be viewed 2D, 3D or in Google Earth. For the common points tables you can view now the vectors from system A to B too. Another 3D transformation method, namely Helmert conform transformation with 7 parameters, was introduced at the calculation of (N,E,H) approximative coordinates, at A System page. The alternative names for North and East axes for the initial and final system were also introduced at transformation model properties. Still here buttons were introduced to invert the properties of the two systems and to select from the EPSG database the initial and final system properties. The possibility to copy and then insert a model was introduced in the contextual menu from transformation models list. Model can be inverted for reversible transformation models. The model validation test was introduced both in contextual menu and at the calculation of coordinates that uses transformation models. The test checks the correctness of coordinate systems stringing through all coordinate operations. The transformations from a system to another, at the transformation test for one point, can be made in four ways, such as: from system A to B and again to B, from A to B, from B to A and from B to A and again to B. In the cases where the test is used forwardly-backwardly too it is also shown the calculated difference between the coordinates from the system from which the transformation started and the coordinates calculated through forward-backward transformation. All the models from the list can be saved in a file. Also, files containing one or more models can be loaded into the list, mtrs extension files. The information whether the model is reversible or not is also shown at the preview of model properties that are loaded from internet database. The obligation to introduce a test point at the publishing of a transformation model in the internet database was eliminated. It was introduced the possibility to add or not maximum 10 points calculated with the transformation model. There can be introduced both method name and EPSG code at the properties of coordinates operation. Also, the information about the operation with coordinates from EPSG database can be viewed according to introduced code. It was introduced the possibility to introduce parameters for reverse calculation too at Parameters transformation section for the transformations that are not reversible. It was introduced a list in which is posted the information about the selected grid file at Translation with grid file section. Information is taken from “_About_grids.mdb” file that is installed in “Grids” folder. Also here it was introduced the possibility to visualize the properties of selected grid file, including those of sub-grids from gsb files (Ntv2 format). The possibility to also introduce formulas for reverse calculation was introduced at Own formulas section and another four new functions such as: TanH, ArcSinH, ArcCosH and ArcTanH. – Change of all axes units. For code method 1049 “P6 (I = J-90°) Seismic Bin Grid Transformation (Left-handed)” there are taken the parameters for 2D transformations. It was introduced the possibility to select only operations like “General Offsets” translation at filtering when choosing a coordinate operation from EPSG database. It was introduced the possibility to filter by the method code too when searching coordinate operations or CRS-es in EPSG database. The information about source and destination CRS-es can be shown in a window at the description of an operation with coordinates from EPSG database. When searching the routes between the CRS-es from EPSG database if the same coordinate operations are found that have different versions it is taken as initial selected operation the one with the bigger version. Reading error of some angles expressed in sexagesimal (DMS) from EPSG database. – Lambert Conformal Conic (2SP) Belgium – EPSG method code 9803. When creating the transformation models from EPSG database for the operations that were using EPSG code method 9633 “Ordnance Survey National Transformation” a supplemental operation about the projection given by the projection type CRS was being omitted while forming the coordinate operations. When searching a route through the EPSG database CRS-es the intersection of these areas is incorrectly made if the value 180° exists between West and East zone. It was added two projections: “Lambert Conformal Conic (2SP) Michigan” with EPSG method code 1051 and “Colombia Urban Projection” with EPSG method code 1052. – Time-dependent Coordinate Frame rotation (geog3D) – EPSG method code 1058. A new grid file type was added, CING11 (Cayman Islands National Grid 2011), with the EPSG 1050 method code. The “Geographic3D to GravityRelatedHeight (CGG2013)” with the method code EPSG 1060 is now accepted. – Molodensky-Badekas (PV geog2D domain) – EPSG method code 1063. When defining an operation with coordinates, it is now possible to establish if the elevation calculated by it is the final elevation of the transformation model and if in the calculation of the operation with coordinates the elevation is retrieved from the coordinates of the initial system. With these two settings, the model can be used as a two-way calculation: height is calculated on one of the ways and the coordinates from the 2D domain on the other way. The program was adapted according to the last changes made in the EPSG V8.7 database (2015, April). Licensing options for TransLT include both new licenses acquisition and also acquisition of new license of TopoLT which includes as a bonus a license of TransLT.